In support of Solace Women's Aid, Damsel Productions brings Abi Zakarian’s Fabric, to four non-traditional theatre spaces across London. Leah is smart, kind, recently promoted, and finally seems to ‘have it all’ when she gets to be the Mrs to Mr Ben Cavendish. But she finds herself revolting; revolting against a society and a judicial system that just won’t listen. 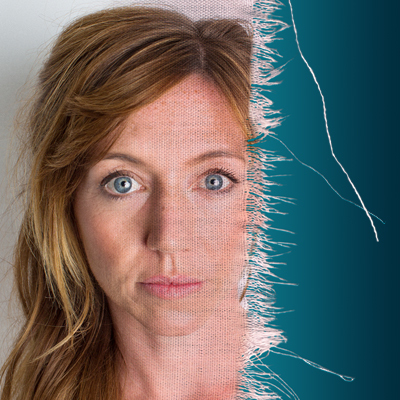 Fabric gives voice to one woman’s experience of sexual violence and trauma. Through Leah we bear witness to how grey areas seep into everyday life, and how a million small things – some seemingly harmless – can result in one terrible act. Following a two week run at Soho Theatre, Damsel Productions brings Abi Zakarian’s poignant and brutal piece, that roars with a needed fury, to four non-traditional theatre spaces across London, bringing this story into the heart of our communities. In support of Solace Women's Aid. Show 1) A post-show panel discussion focussing on what’s next in the battle to end violence against women, with writer Abi Zakarian alongside representatives from Solace and their partner organisations. Show 2) A pre-show workshop on violence prevention for a young audience, created alongside Solace, helping young people untangle patterns of violence and gender inequality at their earliest stages. Show 3) A pre-show workshop on bystander intervention for an inclusive women-only group, to help participants understand what to do when witnessing harassment and violence in day-to-day life. There are no upcoming performances for this event.